Engineering students collaborate on a projectile launcher in the courtyard of the Honors Village. 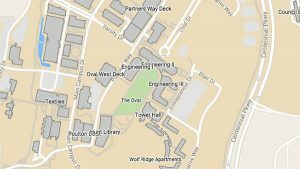 There are a number of living and learning villages at NC State University. These communities allow students who share common interests to interact, which helps foster academic excellence. All of these communities benefit students, but the two listed below have special value for engineering students. 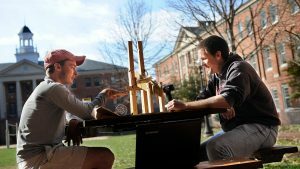 The Albright Entrepreneurs Village may also be of interest to engineering students who are sophomores and above with an interest in entrepreneurship.